I read this article and found it very interesting, thought it might be something for you. The article is called Book Review: This Could Hurt – Jillian Medoff and is located at https://www.totallydublin.ie/more/print/book-review-hurt-jillian-medoff/. 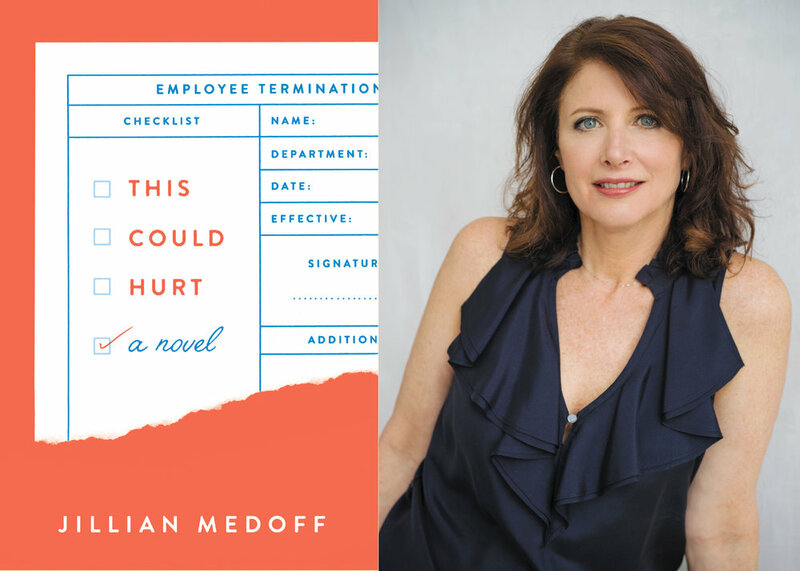 Few authors aspire to ‘the HR office novel’, yet this is what Hunger Point author Jillian Medoff has written, opening each section with a clunky, Windows Powerpoint-style diagram listing the Human Resources staff at a fictional market research firm named Ellery, with characters introduced by their titles and the number of years they have served. As well as authoring several books, Medoff has maintained a career in management consultancy and communications, working in the very field this novel explores. Weaving together workplace jargon, “self-actualisation” therapy-speak and the occasional instructional footnote (‘To hug corporate-style, create a circle with your arms around a colleague’s shoulders. Lean forward. Do not touch torsos.’), the appeal of This Could Hurt, to the lay reader at least, is its function as a window onto a uniquely neurotic social segment, the corporate C-suite. Medoff balances humour with empathy for the humans behind the suits and uncomfortable shoes; Ellery’s HR department is “the warm, beating heart that pumps blood into the organisation”. Money, ageing, ageism, sexuality, gender politics, race, social media addiction and emotional eating are all explored in surprising ways, and there’s a refreshingly nuanced morality to This Could Hurt. HR Chief Rosa’s most obvious strengths – her determination, her pride and independence – turn out to be her failings, while Lucy, the self-loathing yet frequently heroically patient Vice President of Communications and Policy, commits a betrayal to attain the power she – arguably rightly – deserves. Meanwhile Rob, Ellery’s Associate Director of Recruiting and Training (Medoff is hilariously accurate in her use of convoluted job titles) is initially presented as a lovable everyman, but reveals himself to be misguided and, ultimately, redundant in more ways than one. The chapters which follow Kenny, Ellery’s hyper-educated, secretly apathetic Senior Manager of Compensation, are especially interesting, as here the HR theme is allowed to come full circle. Kenny calculates salaries for the rest of Ellery’s staff, “that is, how to measure a job’s worth and, by extension, a man’s”, but this apparently rational connection of human and financial worth is confounded, again and again, amid post-crash “restructuring” (This Could Hurt is set in 2009 and 2010, and the near-existential fear which the characters live under seems wholly characteristic of the time). This being a novel about the development of people, Medoff’s characters find purpose in unlikely places, and one of the novel’s more optimistic threads is its implication that good people can develop and rise through the ranks, ascending the levels of Maslow’s Hierarchy of Needs (the tiered pyramid, a tool used by psychologists and HR professionals, appears several times in the book as a bare-bones distillation of its characters’ motivations). In real life, HR is increasingly an automated process, but Medoff’s novel captures the intricate web of human relationships which allows a workplace to function. Bringing to life its apparently dry subject matter, This Could Hurt is an intriguing study of the self-inflicted structures we live by, and the many creative, unlikely ways we find to subvert them.